U.S. stocks closed sharply lower Friday on concerns including falling crude oil prices and the global response to the Federal Reserve's interest rate hike Wednesday. Options expiration also contributed to volatility. 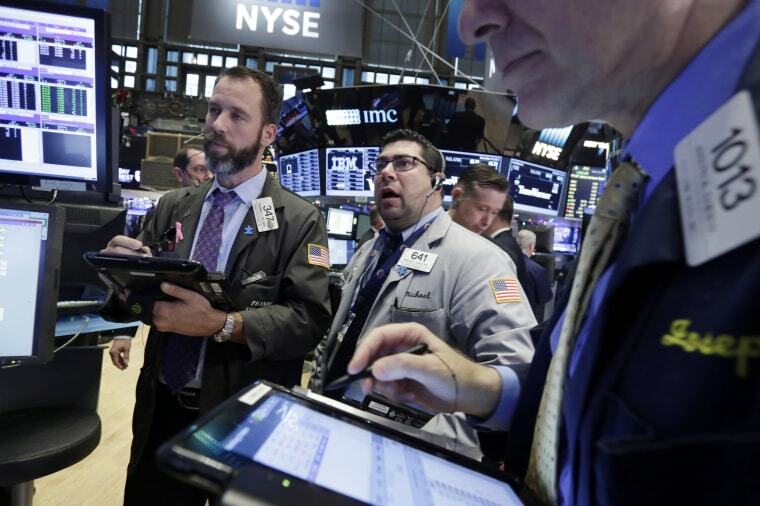 The Dow Jones industrial average fell 370.19 points, or 2.12 percent, the S&P 500 lost 36.36 points, or 1.78 percent, and the Nasdaq Composite dropped 79.47 points, or 1.59 percent. "In the context of the Fed we've removed some uncertainty. There's still some uncertainty about earnings going forward and you're experiencing that with some volatility in market pricing," said Timothy Hopper, chief economist at TIAA-CREF. Nearly all constituents in the Dow Jones industrial average declined, with Boeing and Goldman Sachs contributing the most to losses. Disney turned lower, briefly off more than 3.5 percent, after BTIG downgraded the stock to "sell" from "neutral." "The market basically has been going back, reverting to where it was before (the Fed)," said Quincy Krosby, market strategist at Prudential Financial. Low "oil prices has been difficult for the market to accept." U.S. crude oil for January delivery, which expire Monday, settled down 22 cents, or 0.6 percent at $34.73 a barrel. The February contract settled down 21 cents at $36.06 a barrel. Baker Hughes said oil rigs rose by 17, after four straight weeks of decline. Read more on the market’s sell-off at CNBC.com. Evelyn Cheng is a News Associate with CNBC.